The world-view expressed in the forged letter has become permanently installed in the thoughts of Western intellectuals in such a way that even those who know it to be a forgery go on believing its underlying ideology. Goethe, Pushkin, Heidegger and Peter Schaefer are only some of those taken in by this forgery. 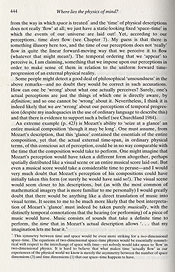 Here, perpetuating the myth, are a university-level textbook and two well-received popular books on music and science. [top] Philip E. Vernon (ed. 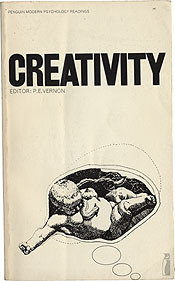 ), Creativity: Selected Readings (London, 1976). 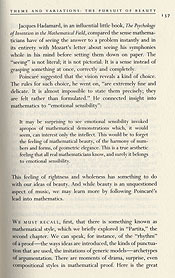 [midle] Edward Rothstein, Emblems of Mind: The Inner Life of Music and Mathematics (New York, 1995). [bottom] Roger Penrose, The Emperor's New Mind: Concerning Computers, Minds, and the Laws of Physics (New York and Oxford, 1989).